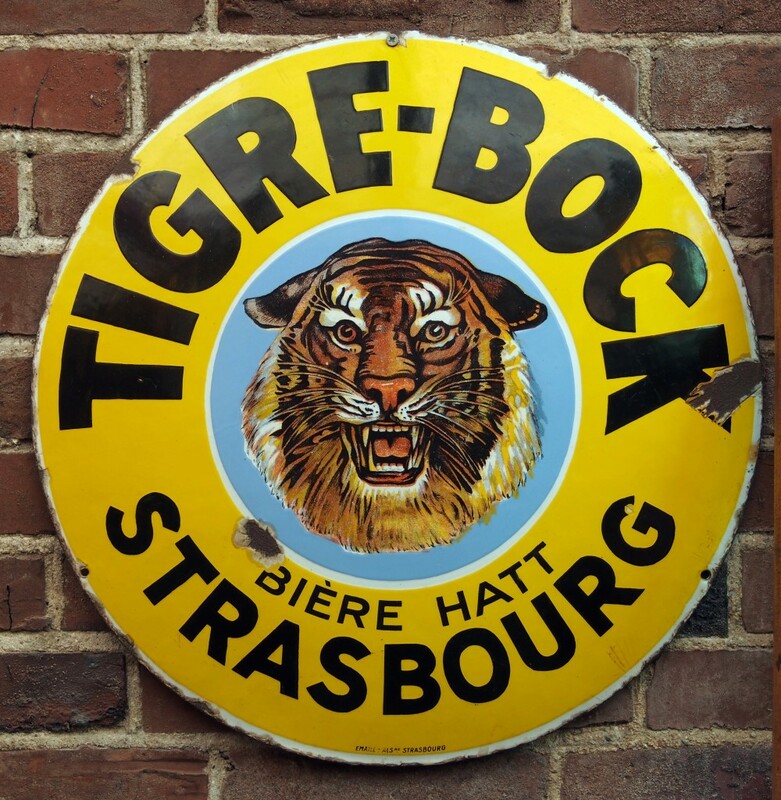 I’ll continue my discussion of cooking with beer by examining some of the traditional dishes in Alsace in France. This tradition should be regarded as quasi-German since Alsace has changed sovereignty several times over the centuries, albeit it has never quite lost its original German character. I will deal with beer cookery in the adjoining province, Lorraine, later. In a popular but detailed study of Alsatian brewing, La Bière En Alsace by Jean-Claude Colin and Jean-Dany Potel-Jehl (Coprur, 1989), the authors state that traditionally beer-and-gastronomy have no history in Alsace, apart from pretzels and “charcuterie“, or delicatessen. They indicate a group of chefs decided to remedy this situation and books were recently published showing beer could be used creatively in local cooking. Colin and Potel-Jehl list about 20 dishes of this type. Some are clearly creations of a new cuisine, such as lobster with beer and parsley sauce as amongst other things, lobster is hardly native to the region. Another example is a composed butter using chopped lettuce and hop flowers, intended as a spread. Yet another is surely escargots cooked with beer, chanterelle mushrooms and crème fraiche. Escargots are typically Alsatian, and so is cream with beer – the combination is used in the region’s chicken-and-beer dish – but using the sauce with escargots is a more recent idea. On the other hand, a number of the recipes evoke the battered old farmhouse more than the gleaming kitchens of multi-starred restaurants. A beer soup, for example, whose French name tells the tale: “Soupe paysanne à la bière“. Or, fried carp where the batter incorporates beer. Rabbit with beer, and fresh ham hock cooked in a cherry-beer, are further examples. In the last one, cherry vs. ordinary beer seems the only new element but really that is not so novel. One can imagine the housewives of old Alsace threw in surplus cherries or plums in a dish like this, after all the region is famous for orchard fruits. On a visit to a beer museum in adjoining Lorraine in the late 1980s I had this same dish cooked with Jenlain beer or La Choulette (not the cherry version!). It was in Stenay, a former garrison town. The dish was very similar to one in La Bière En Alsace, and similar dishes exist in the Nord-Pas-de-Calais and indeed in Quebec in Canada. The rabbit with beer is a standby in Lille and surrounding areas and into Belgium. Versions exist also in England and other countries. I think it likely the chefs who provided the recipes for La Bière En Alsace drew on ancestral or local knowledge of beer in cooking, but also devised new recipes with novel ingredients to present a wider range of dishes. Copyrighted between 1977 and 1985, three slim volumes appeared entitled Gastronomie Alsacienne, published by Editions S.A.E.P. Despite the grand-sounding term gastronomy – at least to English ears it is – these books, according to the introduction, feature dishes from “a long family tradition”. In the third volume, it is explained the recipes were taken from old manuscripts in the back of a drawer or supplied from the memories of older relations of the authors. The books therefore stress that authentic regional dishes are offered, not new creations, and everything in their composition suggests this is so. The same applies to the photography of the dishes, all presented in a rustic setting with appropriate tableware. Beer figures in a few recipes in these books. Apart from the expected beer soup, there is also a dish of veal, beer and juniper, coq à la bière, which is somewhat different than the one from French Flanders, and “beignets” – doughnuts – prepared with beer yeast. (One can imagine too that unprocessed local beer was often used as such in these fritters). In another Alsatian cookery book, it is mentioned that the skin of a turkey was rubbed with dark beer to assist the browning and caramelization of the bird when roasting. (Try it – it’s a brilliant idea). In yet further sources, recipes are offered for perch cooked in an aromatized “steam of beer”, and for stuffed cabbage braised in beer. One or two of these may be the more recent creations of inspired chefs but most have the ring of old regional food. Net net, while one would not claim beer is a star performer in the traditional cookery of Alsace, it has a definite place in the region’s culinary history, in my opinion. And to that heritage, trained chefs in the last generation have added further dishes, inspired both by local tradition and their own imagination. Note re image used: The image above is believed in the public domain, and was sourced here. All feedback welcomed.